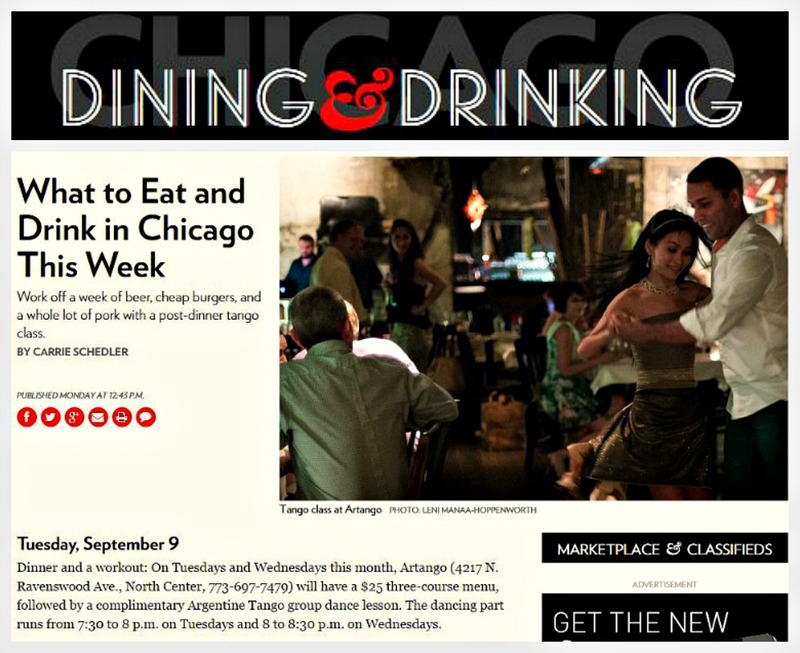 Tuesdays and Wednesdays Artango Bistro presents a $25 prix fixe dinner teamed with Tango. 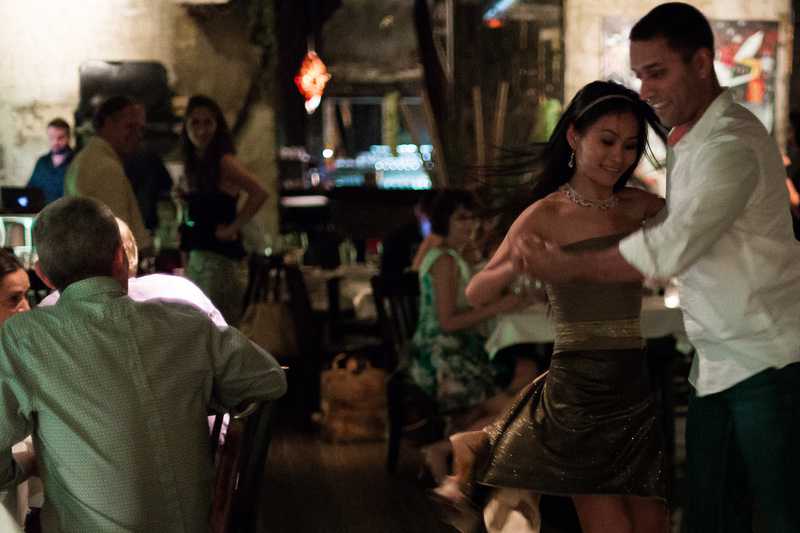 In addition to a complete menu of Argentine, Peruvian, and other South American cuisine, Artango will offer a special 3-course Tango Dinner, including appetizer, choice of entree, and dessert, served indoors or on their sidewalk patio. As a BYOB, Artango encourages guests to bring their favorite wine to enjoy with dinner. From 7:30 to 8 Tuesdays, and 8 to 8:30 Wednesdays, all are welcome to enjoy a free Intro to Argentine Tango group dance lesson as well. Discretely tucked off-the-beaten-path, in a quiet street-level nook of Chicago’s century-old landmark Deagan Building, the 75-seat bistro has quietly become the epicenter for Argentine Tango and authentic South American cuisine since opening last. 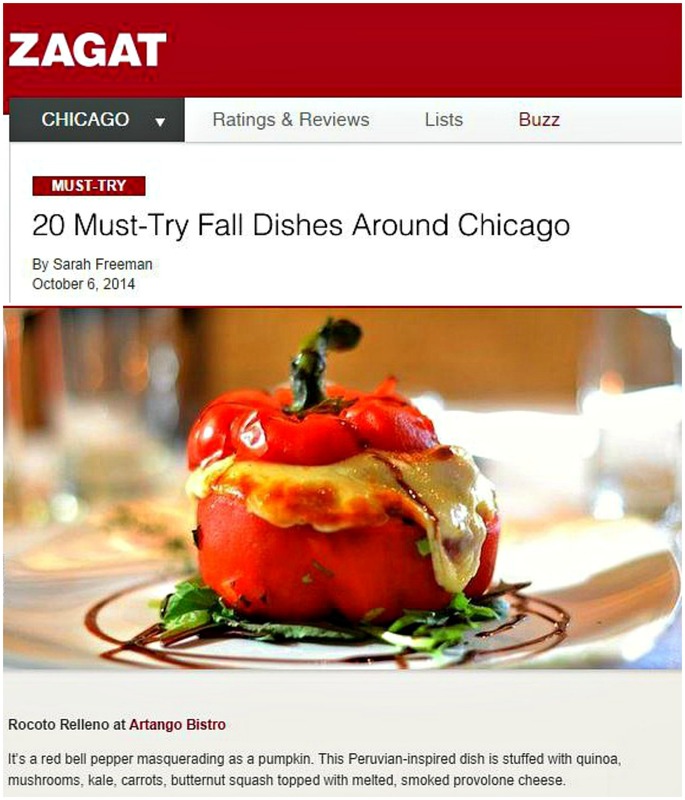 This entry was posted in Mike Foran Public Relations and tagged Argentine, Artango Bistro, Mike Foran Public Relations, South American cuisine, Tango. Bookmark the permalink.